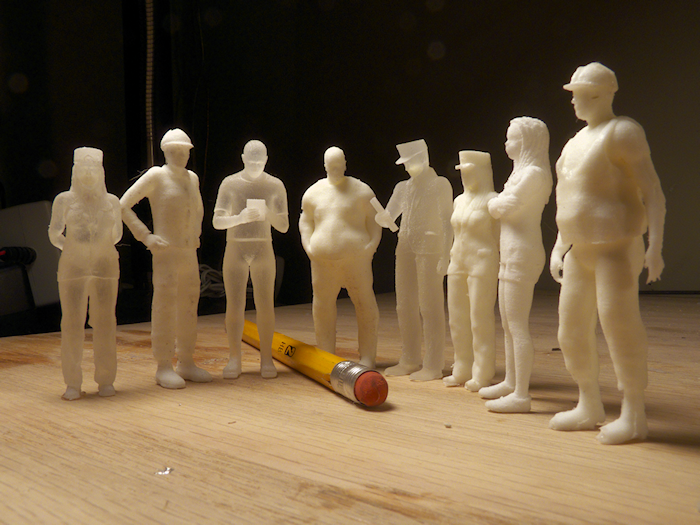 My crew of 3D people so far. Some are prints, some are resin casts. It’s quite a bit harder to get good results than I thought. Making molds is an art form unto itself. Click on the picture to see a larger image.